Information about the Duke City's biggest celebration, the Albuquerque International Balloon Fiesta. Albuquerque offers many activities for fun. The Albuquerque International Balloon Fiesta attracts balloonists and thousands of spectators from around the world. 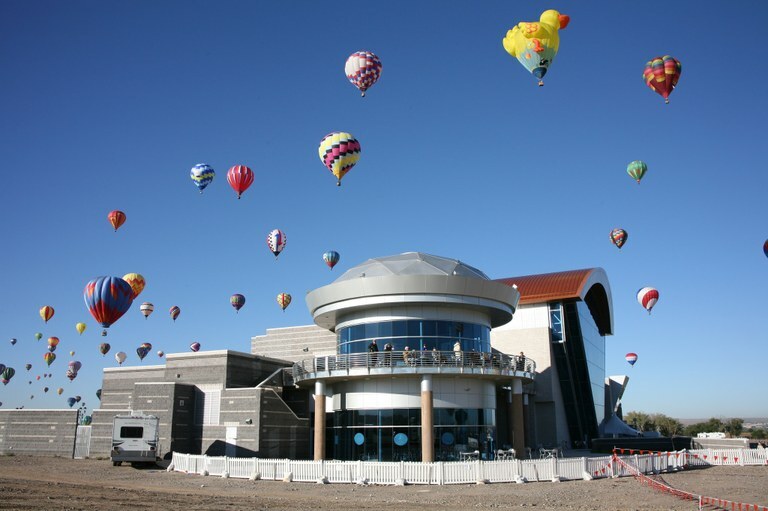 Fiesta Park and Ride includes parking at one of several locations throughout Albuquerque, bus to and from Balloon Fiesta Park, admission for one Balloon Fiesta session, and expedited route to bypass heavy traffic. ABQ RIDE does not administer Park and Ride for the Balloon Fiesta. View more Park & Ride information. Park & Ride service not available on Monday, Tuesday, or Wednesday sessions. Park in the northeast parking lot only. Several handicapped buses are available at Park and Ride locations. Visitors can bring items on the bus except glass and alcohol. All items must fit within your seating area. In case of a weathered out session you may present your scanned ticket for admission at the remote lot ticket booth / office but you will have to purchase a bus only ticket for $12 to board the bus.